"A delinquent, a broken girl from a broken home." 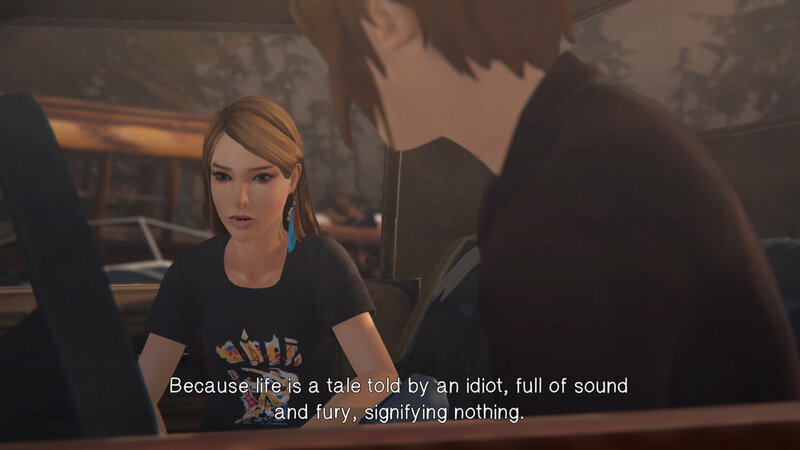 The first Life is Strange was such a well told and enjoyable game. Max, Chloe, and the time-traveling shenanigans that each of them got up to, not to mention the emotional finale the game ended on, depending of course if you picked a certain ending, is one of my favorite games ever made. The follow-up, Before the Storm, was a chance to look back and see how certain events would shape the eventual blue-haired rocker that is Chloe Price, to who she would be at the start of the original game. While the debut episode was a solid effort to kick-start this three episode prequel, episode two is held back due to the game's janky controls and failure for the Backtalk system to really shine. For my thoughts on Episode 1, including a discussion about how this game differs from the previous series, please check out my review for it here. It's a very different experience playing Life is Strange as an episodic series, as I binged the first game in just two days. I found that this time it distanced me a bit too much from what had occurred in the prior episode, with it taking me a short while to remember what exactly had happened and what choices I had made a few short months ago. 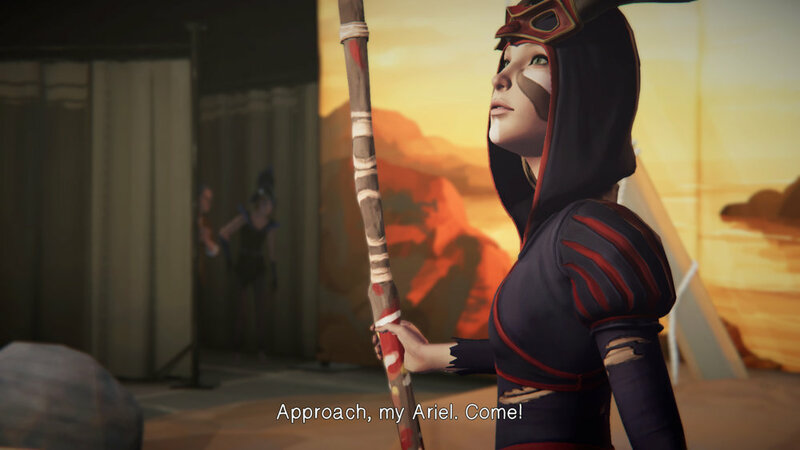 With this title being a prequel, I know what fate awaits both characters, especially that of Rachel Amber, but I still have hope that at least for the final episode, that the characters can share in at least a few more happy moments before the inevitable happens. Episode 2 continues with Chloe's world continuing to fall apart. We start the episode in Principal Wells office, as Chloe is about to be expelled from school, and during my play-through, she is merely suspended for the remainder of the year. To make matters worse, it's not long after where she learns that David, her mom's new boyfriend, and just overall controlling douche bag, is about to move in. During these moments you can accept or fight much of the drama that is unfolding in front of you, changing the story in a myriad of ways. You can take the blame for skipping school, or have Rachel shoulder that blame with her claiming she made you do it. You can attempt to start over with David and try to live under the same roof, or give him the finger and storm off. Much of this episode feels overly simplified and while you do spend some of the episode by yourself, therefore getting further into the mindset of Chloe, many of the interactions don't feel as substantial as the prior game. You'll tour the outside of the dorms and have a few conversations, meeting up with the groundskeeper Samuel again, who is just as creepy as ever, and other than a few moments of interaction within the narrative path, you are not given much freedom after that. While you can take part in a school play towards the end of the episode, there isn't anything nearly as enjoyable as the D&D game from Episode 1. 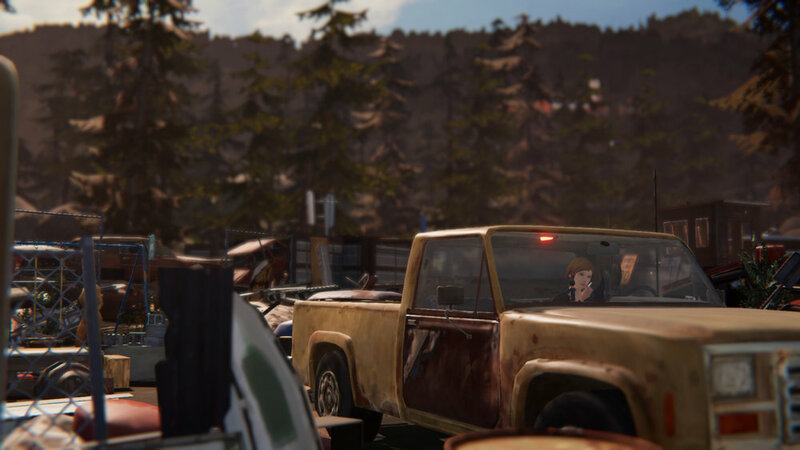 There is a fairly sizeable portion of the game here devoted to the birth of Chloe's truck from the original Life is Strange. While in the junkyard, you come across a broken down truck that needs a little bit of work, and you are set on a path to track down a few items needed to get it up and running. This gameplay segment, and frankly, one of the only ones here, really shows to illustrate just how robotic and janky the actual movement can be. The character animations are not terribly good and you can tell that this is not the same developer that made the original game, it often feels more like imitation than anything else. Everything looks like Life is Strange, feels like Life is Strange, but it is nowhere near as polished as what came before it. I will say that the writing and dialogue is certainly better than the previous chapter with some more weighted choices and encounters this time around, and the game ends with a pretty sizable revelation that has me hooked and ready for its final chapter. 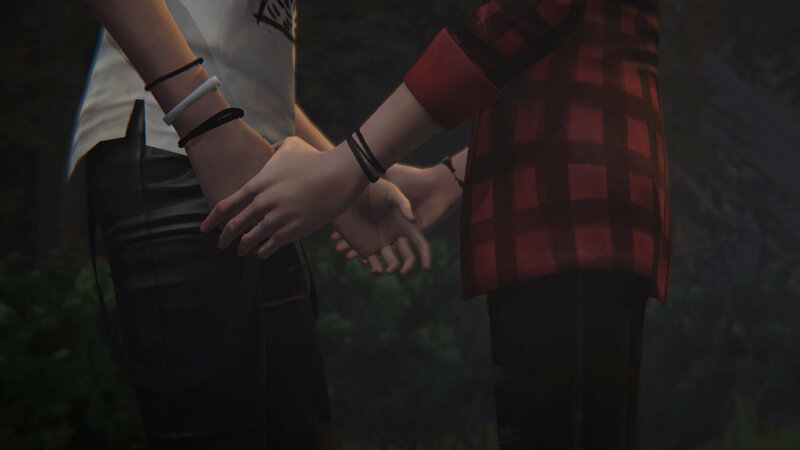 This episode was designed to bring Chloe and Rachel Amber closer together and it does that in very believable and convincing ways. Their interactions, conversations, and the trials that each of them are put through really look to have each other as support for one another. With Max not being present in this series, the time travel aspect is not here and as I mentioned in the previous review, it was replaced with the Backtalk system. While it was interesting in the first episode, here it doesn't serve much of a purpose as much of the other dialogue feels far more important and choice provoking. I do believe the Backtalk system is interesting, but this episode just didn't show me anything impressive about it. The voice acting has been a point of notice as much of the cast did not return from the original Life is Strange. I don't mind the new replacements, but several characters who debut in this episode feel out of place with the tone of certain scenes and the audio doesn't seem to flow as nicely. My favorite parts of this episode were the moments that Chloe and Rachel started to become closer. Without the time travel elements of the first title here and the reliance on it being a story about teenage angst, the game has to rely on its characters and story to do the heavy lifting and we more or less get that here in these moments. I'm eager to see how they end this story with just one episode left because frankly, not a whole lot has happened so far. I enjoy the romance blooming between the two leads, but the other events and characters around them don't seem as important or as fleshed out. With the fates of each girl already written, it will be an interesting time to see what happens between now and then.